Bhatia, a biomedical engineer and MIT professor, is being honoured for her pioneering work in the design and commercialization of miniaturized technologies that aim to improve human health. That work includes the development of model human microlivers that can be used for studying human drug metabolism, drug-induced liver disease, and interactions with human pathogens. These microlivers have been used to study the liver stages of malaria, making it possible to screen drugs without testing them on patients. They may also be a basis for an engineered liver that could one day replace the need for human liver transplants. Bhatia has also designed “synthetic biomarkers” for use in low-cost urine tests for cancer, detecting cancer through a paper urine test. This technology could eventually make it possible for physicians to detect cancer in places around the globe where they do not have access to more costly cancer screening tools. It’s also being leveraged for use in the detection of other diseases. Bhatia is the John J. and Dorothy Wilson Professor of Electrical Engineering and Computer Science (EECS) at MIT, a member of MIT’s Institute for Medical Engineering and Science and Koch Institute for Integrative Cancer Research, and a senior member of the Broad Institute. She is also an investigator with the Howard Hughes Medical Institute and holds appointments at the Harvard Stem Cell Institute and Brigham and Women’s Hospital. Trained as both a physician and engineer, she is the founder of the Biomedical Engineering Society Diversity Committee and is a frequent advisor to governmental organizations on nanobiotechnology, biomedical microsystems, and tissue engineering. Dr Bhatia is - M.D., Harvard Medical School; Ph.D., Biomedical Engineering, MIT; M.S., Mechanical Engineering, MIT; B.S., Biomedical Engineering, Brown University. 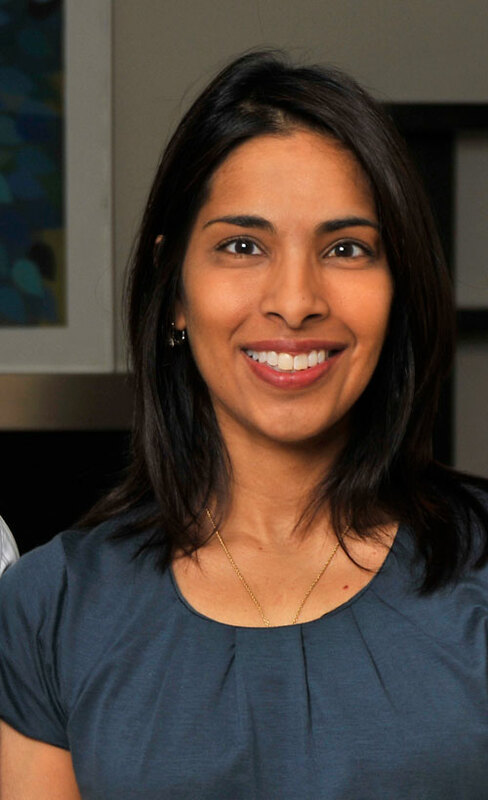 Winner of multiple prestigious awards, she is an elected Fellow of the Massachusetts Academy of Sciences, Biomedical Engineering Society, American Institute for Medical and Biological Engineering, and American Society for Clinical Investigation. She is married to Jagesh Shah, a systems biologist at Harvard Medical School. They have two young daughters.